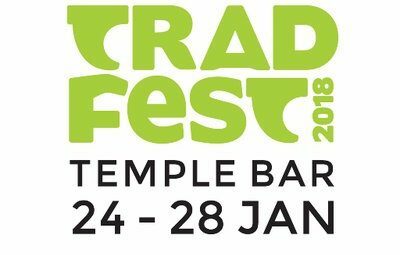 Not just a music festival however, visitors can also take part in a songwriting masterclass with John Spillane and there will also be a genealogy workshop where visitors to the festival can explore their heritage and roots. This year’s much awaited festival is set to feature big names including Martha Wainwright, Big Country, Judy Collins, Andy Irvine and Donal Lunny. Additionally the Waterboy’s Steve Wickham, The 4 of Us, Wallis Bird, Maria Doyle Kennedy, Brian Kennedy and Moya Brennan are set to perform at the festival. Former member of the Dubliners, Eamonn Campbell who passed away last October will also be honoured at this month’s event. A series of family concerts are also set to take place at the Print Works in Dublin Castle as well as Child Vision Petting Farm in Temple Bar Square. View some of best new up and coming talent in the free Live at the Hub series which takes place on the 25th and 26th of January at the Old Storehouse in Crown Alley. Many of the events will take place in Dublin’s historical and iconic buildings including City Hall, Dublin Castle, House Of Lords, St Michan’s Church, St Patrick’s Cathedral, St Werburgh’s Church as well as Whelan’s and Rathfarnham Castle.